Cathelco are the world’s largest manufacturers of MGPS systems with a record of over 50,000 installations on ships of every type. 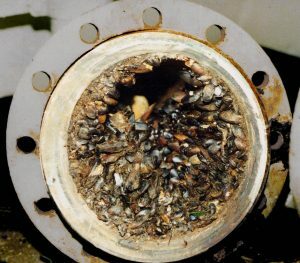 Eliminates blockages in sea water pipework systems caused by the growth of barnacles and mussels. Prevents engines from overheating and subsequently increased fuel use. Environmentally benign – completely chemical free. 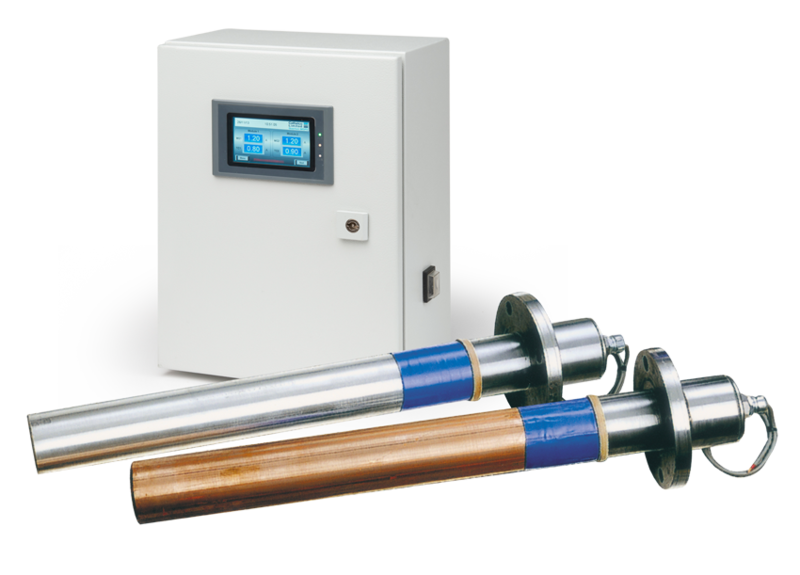 The Cathelco MGPS system generally consists of copper and aluminium anodes which are installed in seachests or strainers and wired to a control panel. In operation, the copper anode produces ions which are carried through the pipework by the flow of seawater and create an environment where mussel and barnacle larvae do not settle or grow. The concentrations of copper are very small – less than 2 parts per billion – which means that no harm is caused to the wider marine environment. At the same time, the aluminium anodes produce ions which form an anti-corrosive layer on the internal surfaces of pipes. In this way, the system has a dual action, preventing biofouling and suppressing corrosion. Cathelco have developed a range of anodes and control panels for different applications. Ferrous anodes – used instead of aluminium for protecting cupro-nickel pipe systems. Pump protection units – used in the offshore oil industry to protect sea water lift pumps and associated pipework. Electrolysis tanks – used on offshore installations or where it anodes cannot be fitted in strainers or seachests. Small anodes which can be fitted within pipework on small vessels such as fishing craft and luxury yachts.